An Economist study finds that the quality of democracy is highest in Australia, Canada, and Scandinavia. No big surprise here. Time to move? You may have heard that a prominent member of the AfD was physically attacked in Bremen, which the AfD managed to put all over social media. The police say the initial account of the story does not match CCTV from the scene. Another police officer in Hesse has come under scrutiny over ties to right-wing extremist networks: he is accused of leaking police information to two Neo Nazis. Worrying, to say the least. Pankaj Mishra thinks that Brexit reflects everything British upper-middle and upper classes have inflicted on the large parts of Asia and Africa. A scathing and not implausible reading of modern history. 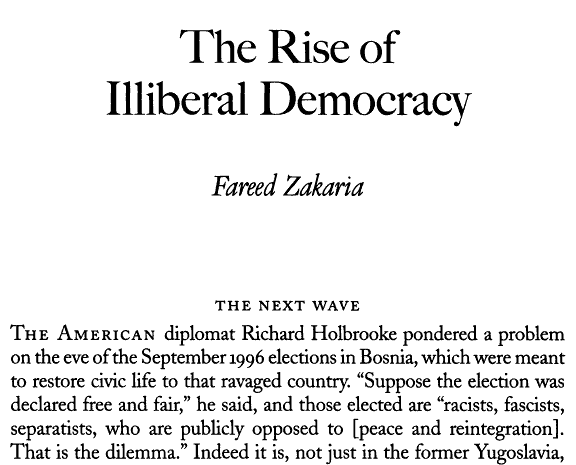 Googling around for a citation Doing serious scholarly work, I stumbled upon this article that was published in Foreign Affairs back in 1997. It would seem that these guys were rather prescient here. 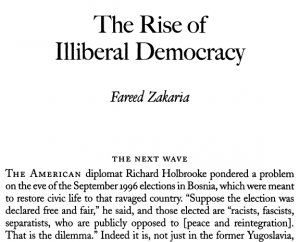 Before you get too excited: On the next page, the article claims that liberal values and democracy are “interwoven in the Western political fabric, [but] are coming apart in the rest of the world. 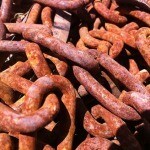 ” Like many others, I’m wondering if this is still a valid assertion. And yes, the warnings about Yeltsin look rather quaint now. Radio talkshow on political disaffection and "the new lust for politics"
You got to love public radio. Granted, any institution that has a guaranteed income from the tax/licence payer and is therefore effectively insulated from their customers demands is slightly suspicious, but nonetheless, the continued existence of programs that provide an hour-long space for political debate without any commercials (and next to nil music in between) is reason to rejoice. This week, the good folks over at Bavarian Broadcasting’s (radio is mostly federal in Germany) Political Dossier invited me for a friendly chat with a representative of “Mehr Demokratie“, an NGO campaigning for institutional reform in general and a (much more) extensive use of referenda in particular. The subject of our little conversation was the apparent contradiction between allegedly widespread political disaffection and a “new lust for politics” in Germany. I do not really believe in the latter, but the former was the subject of my PhD thesis, so I had a lot of fun for a whole hour. If you just can’t get enough of my lovely voice, you can listen to the show’s podcast (in German).